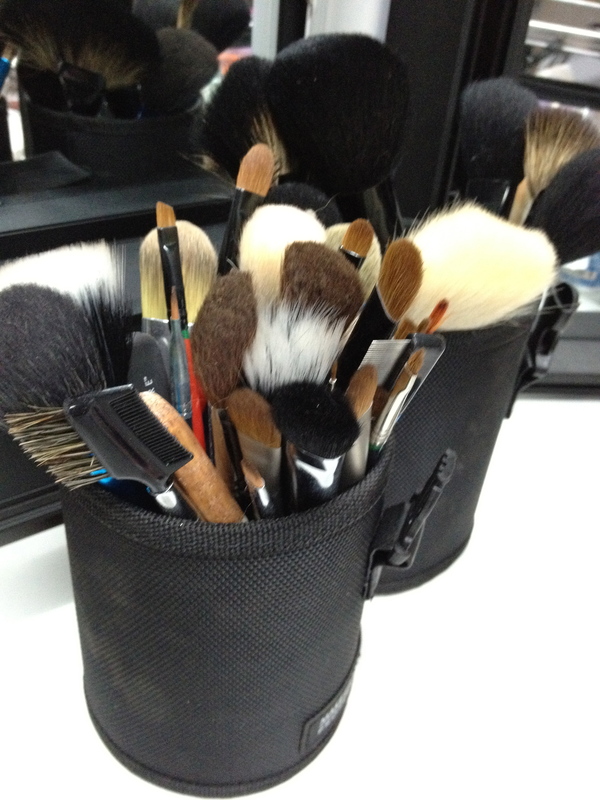 So You Want To Be A Makeup FX Artist Pt 2: Breaking out and Breaking in…..
1. If you decide to train in Makeup FX, you are NOT going to walk out of a classroom and into a job! No-one is going to hire you right out of training to work on a big job. Or even a medium sized job. Matter of fact, almost nobody will pay you to work on anything right out of training. Unless you have a fantastic portfolio of the right kind of work work, and the appropriate skills for that particular job, and unless you can demonstrate a proven ability to work on your own without constant supervision, and consistently produce a top-end result, no professional Production Company can afford to take you on and pay you. Insurance restrictions and Workers Compensation laws mean no professional production will take on people working for free, either. Traineeships are practically non-existent for the same reasons. You will need to aim a little lower to start with. 2. There is no such thing as steady, full-time employment with regular hours and pay. Unless you are working behind the counter at one of the Makeup Supply Houses, selling products to the people who do the actual work. 3. What work there is is temporary. We are all freelancers. We are contracted to work on a specific project for a certain period of time. Which may be for a couple of weeks, or up to a the best part of a decade in the case of multi-film productions. But when the project ends, everyone goes home, and everyone goes back to being unemployed. 4. There is no regular Superannuation, Sick Leave or Holiday Pay. 5. Most FX Houses are a one-man show. The vast majority of existing, actual working FX Businesses in the world are one or two person operations, running out of what is basically a big shed. And some of those sheds aren’t actually that big…. They survive in a tough environment by doing all kinds of work to pay the bills. Occasionally and in the good times they get steady work and can be quite comfortable. But most of the time they do not employ extra people because a) they can’t afford to, and/or b) there isn’t enough work. And just in case you haven’t quite got the idea yet- you know all of those “big” well-known FX studios you see on the behind-the-scenes DVD specials? The ones where there are forty or fifty people in the background feverishly working on FX for the latest blockbuster? The kind of place you dream of working in one day? Well, guess what happens when that project is completed? That big, powerful FX business goes back to being pretty much “one man in a shed” again. And here I am talking about the kind of FX Houses that are responsible for working on the biggest films in the world….. in the hundreds of millions in budget terms. Yes, them…. 6. In between projects, even highly successful FX Businesses retain only a very small core staff. Everyone else is hired and released on a contract basis, per project. Occasionally there are a lot of projects back to back and people will get hired for one, stay on for the next and can end up working for the same FX company for years, but those situations are NOT the norm in this industry. Fewer than ten percent of people in this business will ever work full-time with the same company for more than a few months at a time. In between jobs, you are on your own. You really think you have a chance of getting work at a professional FX studio for that upcoming film you’re desperate to work on, simply by sending in your Makeup College portfolio, with its wonky bald-cap, latex and tissue gunshot wounds, and that 1920’s Beauty look with the cheap acrylic wig? Who is your competition? People who have worked on some of the biggest productions in the world. People from all over the world! People with serious experience and skills at the pinnacle of the business. People who have been personally recommended to the people in charge of crewing up. (That last is a biggie…) People with a professional reputation that justifies their self-confidence. Oh, and most large FX houses get literally THOUSANDS of applications to work there when there is a big film coming up. One particular place I know has them stored in the backyard in Freight Containers. The kind that go on ships. Three of them, each stacked to the ceiling… Get the picture??? So if you DO send off your CV and portfolio, don’t be too surprised if you don’t get a personal reply next week. Or ever… Realistically, who has the free time to answer hundreds or thousands of unsolicited applications? Now, tell me again, why should they hire you for that blockbuster on the basis of a few school assignments? Just because your family and friends think you are terribly talented and bound for glory, does not mean you have the relevant experience and appropriate skills to do the job. If you are thoroughly pissed off at me right now for being so blunt, and full of indignant self-righteousness (“how dare she tell me I can’t make it… I’m DIFFERENT… I’M SPECIAL!”) or if you are feeling moribund and totally depressed about your lack of future prospects, (“what’s the point in even bothering.. I’ll never get anywhere… I’m just wasting my time… “) then I recommend you give up the whole idea of Makeup FX as a career right now! If you are not a quitter, however, pull your socks up , take a deep breath, get a nice hot cuppa, and keep reading. Ok, now to the real point of this post. If you aren’t going to be able to get a job in the traditional fashion, then exactly how DO you get work in the Makeup FX business? 1. Open fridge. Nothing to eat. 2. Open Pantry. Nothing to eat. It is more relevant to our discussion here than you might at first imagine. When you get out of Makeup school, or for those of you who are self-taught, when you first start seriously looking for work, it is natural to set your expectations as high as you can. And why not? Aim for the stars, after all…. if you fail you will still be better off than if you aimed for mediocre and achieved it, right? Here’s the thing. If you have been taking in all the information I have presented so far, you will now have a sneaking suspicion that it may not be quite as easy to get into this industry as you had originally believed. Oh yes you knew it would be hard, but you thought that was all about improving your sculpting skills, learning to make the perfect mould, getting that edge just right…. So, maybe nobody has told you yet, but your ability to develop and sustain a lasting career in this industry is actually going to depend more on your ability to sell yourself and your skills as a marketable product, to people who are in a position to get you work. You are merely one of thousands of people, competing for the same few coveted positions. So you need more than just enthusiasm and dreams. How do you differentiate from all of those other people trying to get the same jobs? It is a given, that no-one without a lot of experience is going to have a knock-em-dead portfolio. Nor are they going to have the network of contacts and the personal recommendations that people in the industry rely on for future work. So how do you get those? To begin with, you do whatever work you can get. So, try and get work on big-budget professional projects. Fail. Lower standards, and repeat…. Yes, that means working for no pay to start with. Yes, that means working on student, amateur, no budget/low budget productions. Yes, that means a lot of time spent faffing about, while you try and build up your experience, and by extension, your portfolio. Yes it is going to cost you money to do this. Think of it as an investment in your future. And, VERY importantly: every project you do where you are barely getting enough to cover materials (should you be that lucky!!) should be treated with the same dedication and attention to detail the same as every project you do on you own for practice or for fun. Regardless of whether you think it is ‘important’ or whether it is as exotic or adventurous a challenge as you might like, it is giving you real-world experience, dealing with real people making real films for real money (usually their own), many of whom who will also go on to develop their own careers in future years, and who could well end up working on a bigger project and be in a position to give you your big break. Every project you do takes you one step closer to your end goal. I have covered ways of discovering this in other posts, but deciding where you want to end up at the END of your career is actually the most important thing to do before you take the first step of the journey. Of course you could ramble aimlessly and see what happens, but me, if I’m going to aim for the stars, I like to have a particular star to aim for. 1 What do you know or do very well, and how did you learn it? There is no point in deluding yourself that you are a great sculptor if you are not. EVEN, or should I say ESPECIALLY, if you love to sculpt. If you are only ever going to be a mediocre sculptor, accept it, and although you should certainly practice and try to improve, look for your other strengths. Maybe you have a particular knack for making beautiful, effective moulds. Or you can wield an airbrush like a young Steve Wang. By all means try and be well rounded, but if you have something you are particularly good at, make a point of getting even better. Don’t be afraid to specialise, even if your gift is being able to something repetitive, that takes great focus and attention to detail to get right, like hair punching; seaming silicone; or painting foam. As someone wise once said to me, the person who gets into a busy shop is often the one who is willing and able to do the jobs no-one else wants to do, like grinding fibreglass…..
2 If you have intermediate or above skills, at what point did you feel like you were no longer a beginner? Not everyone will have gone to school in the first place, and being self-taught is going to present you with a whole different set of advantages and disadvantages. Likewise, you may have finished your formal training a while ago and already have a bit of experience under your belt. If you think back on your early jobs, you may have felt like a total fraud, at risk of being found out at any second… Later, you would have realised that you actually know more about your chosen field than the people who were hiring you, at least on the lower levels of the biz…. So your confidence builds and you feel quite rightly that you are ready to move up the ladder. But be careful- this is the stage when its easy to get cocky and overestimate yourself. You aren’t quite there yet…. The danger lies in assuming that because you have been managing quite well on your own or in a small team on a low end project, that you could then transfer right into to a very large project with a much larger budget…. with all of the attendant politics and protocols that are involved, and work well in a team of very experienced people, who are under an enormous amount of pressure. The reality is that the difference between low budget/no budget film and big productions, is the difference between the corner cafe and a Michelin star restaurant, between a first grader’s Little League game, and the World Series….. Where are you in your career? No Olympian gets to the games overnight. They build up gradually, working their way through a range of qualifying rounds and intermediate championships, building up their skills as they go, and so must you. 3 Think about one of your favourite makeup effects, something you have done that you are really proud of. How did you get the skill(s) to do it? How can you learn to do it better? We all have a watershed moment, when we step back, look at what we have made, and think, Yes! Cherish those moments. But keep trying, keep striving to improve, and always keep moving forwards, keep up with the latest materials and techniques, educate yourself about industry standard methods currently in use, and very importantly, educate yourself about the PEOPLE currently working in the industry. Who won the Oscar/BAFTA for Makeup for the last couple of years? Who worked on the latest Makeup FX-heavy film at the cinemas? These are the people by whom you aspire to be considered a peer…. 4 What influenced you most when learning a new, difficult skill? Is there anyone in particular whose work inspires you? Someone you consider to be mentor? (You don’t need to have actually met them!!). 5 Finally, do you have any regrets or concerns about the way you learned makeup effects? If you went to school somewhere, what do you think you learned most about, and what do you wish you’d learned more of? Did you get taught enough (or, indeed, anything..) about the business side of this career? If you are self-taught, what do you feel you haven’t had a chance to do yet? Do you think you would have benefited from seeing other people’s techniques and working methods? Either way, what do you feel are the gaps in your education to date, and what is your plan to fill those gaps? Not only did Reagan get a laugh, he won the election by a landslide! If one of your weaknesses is that you don’t have a lot of experience in the lab, and your experience has mainly been doing onset applications and out-of-kit makeups, you could turn this weakness around by demonstrating that you have used that time onset to develop great people skills, (a real bonus when dealing with actors), and that you understand the demands of working to strict time pressures while shooting. Many FX Artists have very particular preferences in the way they like things done. If your weakness is that you are fresh to certain techniques, you can emphasise that you can be trained in the way your potential employer prefers to work- as you haven’t yet learned any bad habits!! But don’t overdo it… there are a lot of self help and marketing books out there that want you to get all Oprah over ever little thing, but honestly- sometimes it just annoys people!! Alright, going back to the rules I outlined at the head of this post, I know perfectly well that there are a bunch of you squirming in your seats right now with your hands in the air, itching to tell me I’m wrong about all of that. I’m wrong of course, because you heard that your second cousins’ best-friends’ next door neighbours’ daughter got a job working on the latest blockbuster, Harry Bond and the Batmobile, right after she her finished Certificate of Makeup for Geniuses at Sir Swithins College of Special Makeup FX and All Round Brilliance….. And now she is in huge demand and earning squillions and driving a Porsche and dating a hot actor. And you saw the pictures on Facebook, so it MUST be true, right? There are, from time to time, exceptions to all of the points I made in this post. But as the saying goes, “the exception confirms the rule in cases not excepted”. What work there is is temporary because it has a defined end date – But ‘temporary’ can in some cases last for what seems like a long time…. There is no regular Superannuation, Sick Leave or Holiday Pay – Unless you are engaged for a long period of time. (See point 3)…. When someone is hiring people for a position, any position, applicants need first to present with the correct skills and required experience to even be considered for the job. 1. Can the person do the job or are we willing to train them to do the job? 2. Will the person do the job well? 3. Will we be able to work with this person and can this person work with us, over the long run? Side Note: It has been said to me by many veteran Directors and Producers that in fact, the third question should be the first factor considered for a career in the film industry!! …. There is no point using an elephant gun to shoot a sparrow. If you are going to try and get work, you need to target your approach to the area you want to work in, to which your personal skill-set is best suited, and in which you have both a possible and achievable chance of success. 1. First, you need to decide what type of work you really want to do. Makeup FX is a narrower field than regular Film and TV Makeup, but there are still different areas. Your first choice is between lab work and onset work. On small stuff you have to do it all yourself but on bigger budget things, rarely the twain shall meet. For that matter, do you REALLY want to work on big impersonal blockbusters, just one little cog in the machine, one of a cast of thousands, whose name may not even make it into the credits? Or would you prefer to stay on smaller scale projects where you have more interaction with the filmmakers and actors, and more control over the process? 2. Make a list of production companies and FX Studios (if any) in your area. This information can be found in industry listings in magazines and other industry publications, or in books available for purchase, or in member-only Film and Media Production listing services. 3. Call the FX company and find out who hires for Makeup & FX. Calling is always the best way to make contact, it gives you a voice to relate to, and a chance to shine your own sparkling personality on the person at the other end, but sometimes an email address is all you have, so use whatever you can get. 4. For Production companies it is usually done on a project by project basis, if they have upcoming projects, try and find out the Production Managers details. They are the doorkeepers, and will be the person in charge of sending received CVs to the HOD once appointed. 5. Tell the person you would like to submit your CV. On your CV you should include a link to your web site or professional listing site profile if you have one. 6. Only send a link to the page/ pages that are most relevant to the work the company needs (if you can). If you are sending work to a medical drama show or a documentary company, they wont want to see your zombie, no matter how proud of it you are. If an FX company is looking for people with experience in a certain area, don’t waste their time and yours sending work that doesn’t fit the criteria. Remember you need to have the correct skills and relevant experience to even be considered! 8. Add the names and direct numbers of any relevant people you meet, and company details, into your contact database. Never underestimate the power of a few good contacts. According to Aristotle and Socrates, ethos is one of the three key components to persuasion. Roughly translated, ethos is the employers perception of your credibility, based on your ability to deliver what they need from an employee… Essentially, an employer wants you to act in their best interest over yours. In order for you to persuade them that you are the right person for the job, they need three things from you. 1. They need you to give them the facts to back up your claim to fame, your experience and your abilities. 2. They need to trust you, believe you have credibility in the field and as a person. 3. They need to believe you have the passion and enthusiasm to get the job done and to the standard they demand. When you get an opportunity to talk to a potential employer, they will ask you about your skills in the specific areas they are looking for. If you don’t have the right skills, NEVER LIE. Thats not to say a wee bit of bluffing about your level isnt acceptable, as long as you can back it up when you need to…. A lot of people manage the facts just fine, but stumble when someone says, “Tell me a little bit about yourself….” Have a preprepared speech on this ready. Keep it short and to the point. Don’t ramble. If asked “Where do you see yourself in five years time?” NEVER tell a potential employer that you see yourself in their job. Just… don’t go there….. Continued in: So You Want To Be A Makeup FX Artist Pt 3: Breaking Through…. This entry was posted on Friday, August 10th, 2012 at 11:22 pm	and tagged with cold calling, film makeup, getting work, learn makeup, learn sfx makeup, make-up books, Make-up effects, Makeup, makeup and hair, Makeup FX, movie makeup, Production Company, sfx, special effects, special fx and posted in Life, the universe and everything..., THE BUSINESS OF MAKEUP FX. You can follow any responses to this entry through the RSS 2.0 feed. « Does Your Story Pass “The Bechdel Test”?